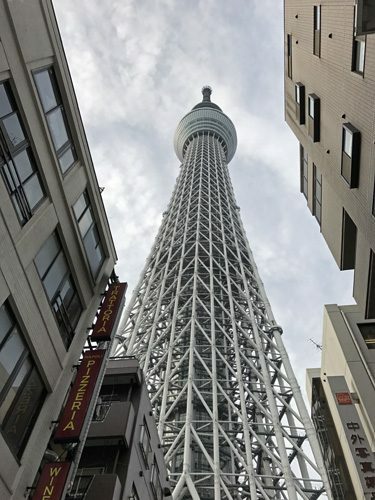 The Tokyo Skytree is the second tallest human-made structure in the world, extending 2,080 feet to far above the surrounding Tokyo city skyline. 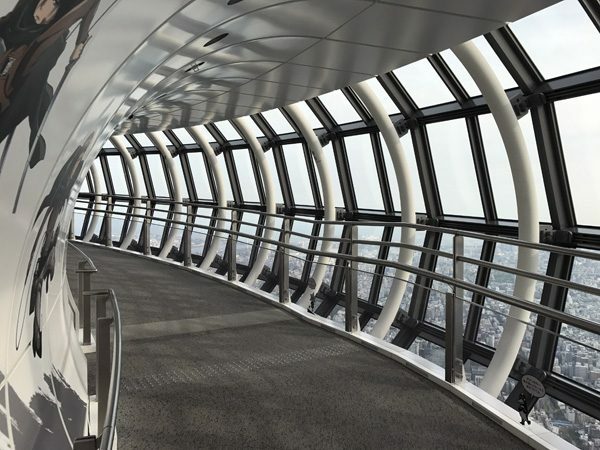 Observation decks are available at two levels: the first at 1,148 feet high (350 meters) and then a second observation deck above at 1,476 feet high (450 meters). Both decks are so high that there is not much perceptible difference between the two in terms of view, though the higher deck does feel more like flying in an airplane. 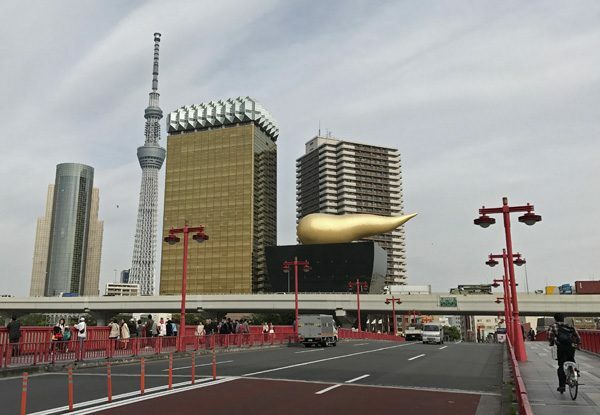 The Skytree is accessed through a commercial shopping hub at its base. 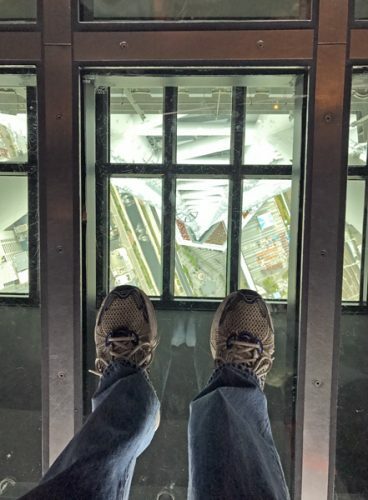 Tickets are initially purchased just for the lower observation deck. 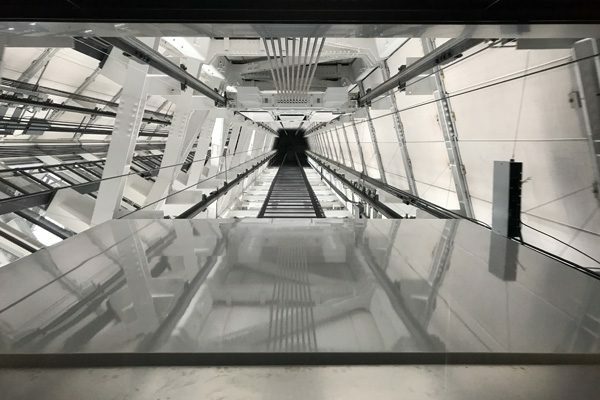 After ascending the elevator (which surprisingly blocks most of the view along the way), there is a 360 degree interior observation deck, snacks, and a fancy restaurant. Tickets to the upper observation deck can then be purchased at the lower observation deck, as an up-sell additional ticket. The Skytree serves as a tower for television and radio broadcasting, using its height to project far and wide. 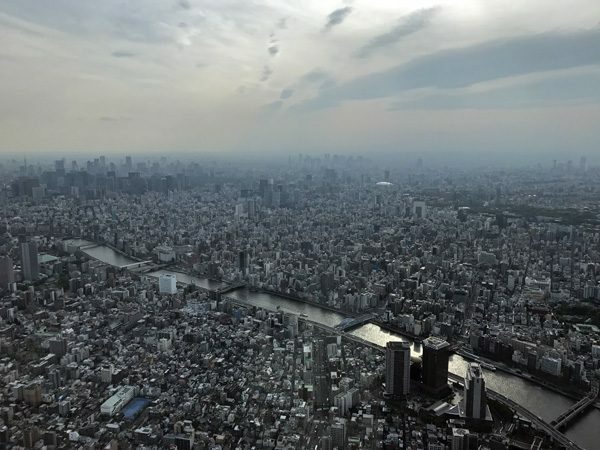 The observation decks and restaurant make it accessible to everyone for a don’t-fear-heights view across all of Tokyo and beyond.